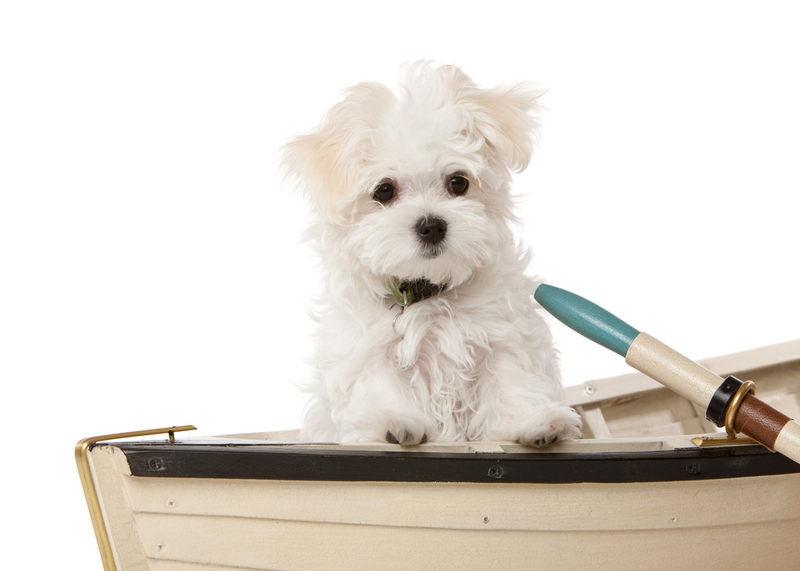 Besides humans, a dozen dogs were aboard the ship on its luckless maiden voyage. Just three survived. How were three dogs saved in lifeboats when there wasn’t enough room for all the human passengers? The three dogs that survived the Titanic disaster were all extremely small. The dogs were so small, it is probable that no one even noticed them when they were carried aboard the lifeboats. Two of the dogs were Pomeranians, the third was a Pekinese. One little Pomeranian was named “Lady” and was bought by Titanic passenger Miss Margaret Hayes in Paris. “Lady” shared a cabin with Miss Hayes and was wrapped in a blanket and carried onto a lifeboat by her when the order was given to evacuate. The fabulously wealthy family the Rothschilds owned the other Pomeranian that survived. The Pekinese was named “Sun Yat-Sen” and was brought on board by the Harper family (of the New York publishing firm Harpers & Row. )- only first class passengers had dogs aboard. One family even received an insurance payment in the amount of $300 (about $7000 today) for their two dogs that didn’t survive the sinking of the ship. Wealthy passenger William Carter was traveling with his wife, Lucille, and two children. Their daughter Lucy’s King Charles Spaniel was insured for $100 and their son Billy’s Airdale for $200. The children begged to take the dogs when evacuating, but Carter insisted they were too big and assured his distraught children that their dogs would be fine in the ship’s kennel… LIES!!! When the dogs perished, the insurance company made good on both claims. As for the other dogs aboard, those whose names are known include world-famous millionaire John Jacob Astor’s Airdale, “Kitty”. A woman named Helen Bishop brought a Fox Terrier named “Dog”. (How original.) Passenger Robert Daniel brought “Gamin De Pycombe”, his French Bulldog. There were several other dogs aboard whose names are not known. Although a few of canine passengers shared a cabin with their owners, a majority were kept in the ship’s kennel and were cared for by the Titanic’s crew members. One particularly sad story involved a Great Dane owned by 50-year-old Elizabeth Isham. Miss Isham visited her dog at the ship’s kennel daily. When she was evacuating, she asked to take the dog with her. When she was told the dog was too large, she refused to leave the ship without him and got out of her lifeboat. Several days later, the body of an elderly woman clutching a large dog was spotted by the recovery ship Mackay Bennet, and dinghies were dispatched to round up the bodies of the woman and the animal. Eyewitness accounts and the ship’s log confirm the sighting and recovery. The body of the woman recovered is assumed to be that of Miss Isham, though this was not verified by any other means than noting the type of dog and putting the story of her refusal to leave the ship together with the fact that they found a woman’s body with the dead dog. Famed millionaire Benjamin Guggenheim often traveled on voyages with the Titanic’s Captain Edward John Smith. He knew Captain Smith and his family well. Right before the Titanic launched, Guggenheim presented Captain Smith with a large Russian Wolfhound, a gift for Smith’s daughter. In honor of Guggenheim, Captain Smith named the dog “Ben” and presented it to his daughter. Luckily for “Ben”, he was given to the young girl the day before sailing and did not travel on the Titanic. ….continued….there and the mystery ship that passengers saw and Capt. Smith signaled to that just sailed away. Such a tragic loss all around that just should not have happened at all. I would go down with my 3 Shih Tzus, Teddy, Gracie & Leo. I have 5 kids and I would put THEM on the lifeboats, but I love my dogs like my children so there is no way I could leave them. In that day and age dogs for the most part were not considered family members and were not cared for as well as they are now.But wait… 3 dogs in the last few months have died on airplanes because their families weren’t allowed to keep them on their laps. I’m more sensitive to dogs dying because they truly have pure souls and they always want to be with their people. They don’t judge or argue and are certainly more trustworthy than a lot of people. My dogs know when I am having an anxiety attack and can calm me down faster than anything.